This is my first beauty post and I take the name of the nail polish color Beginner’s Luck as a good sign. This is also my first product review and I’m excited to give you the full detail of my experience. 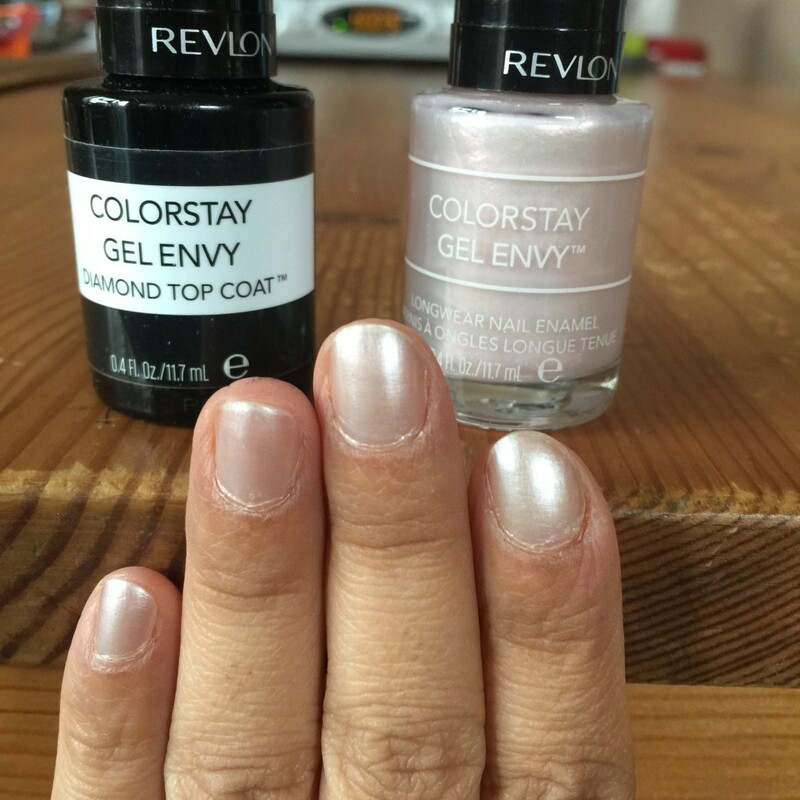 Revlon’s Colorstay Gel Envy is a 2 step process that claims to give salon-quality manicure that delivers shatter-proof strength, ding-resistant wear and diamond-like shine. Step 1: is the Colorstay Gel Envy Longwear Nail Enamel that comes in over 20 shades. It provides the base coat and color in one easy time saving step. 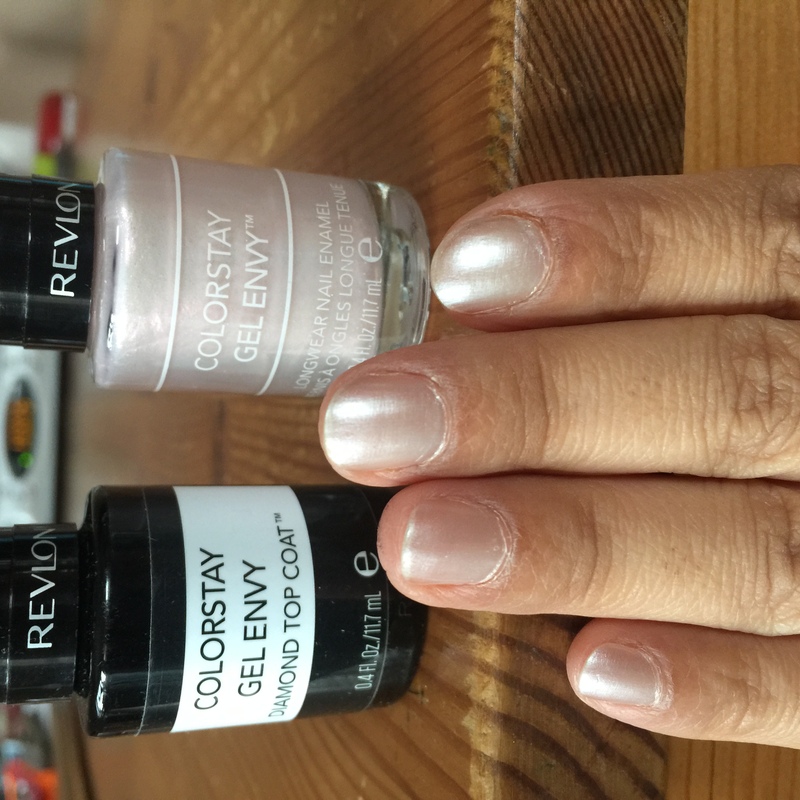 Step 2: is the Colorstay Gel Envy Diamond Top Coat which provides strength and shine. 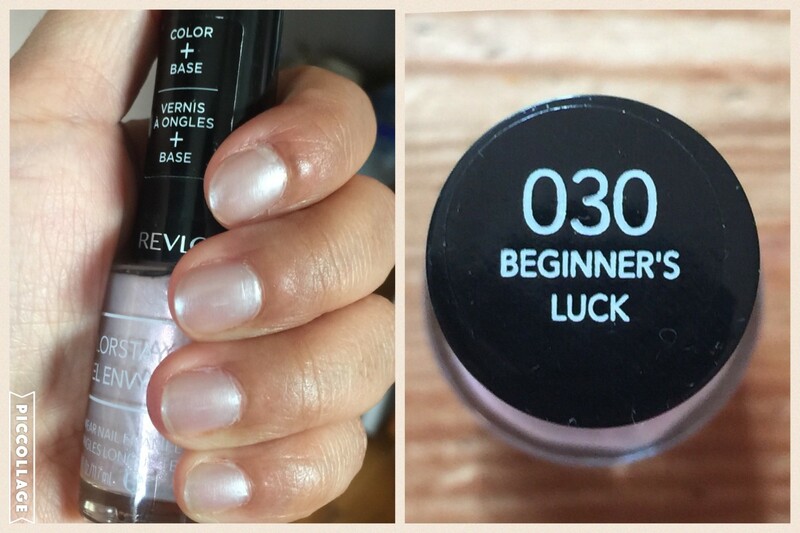 I really wanted to love this product when I bought the color you see above with the diamond top coat but was very disappointed when the color started chipping away after 3 days. However a friend of mine recently gave me a great tip on how to make my manicure last longer using this product. She told me to keep reapplying the diamond top coat once a day after the initial application to make the color stay longer. I followed her advice and reapplied the top coat for about 4 days in a row but then I forgot about it. I usually reapplied in the evening when I was unwinding down for the night and the top coat dried pretty fast while I watched TV. The final verdict… the color actually stayed put for about 7 days which is good enough for me since it lasted for the week. I also used gloves when I washed dishes so that probably helped. I would love to hear if anyone else has used to this product and their experience with it so please share in the comments.